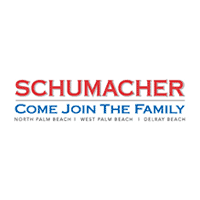 Whether you drive a Buick, an INFINITI, a Subaru, or a Lincoln, the service centers of Schumacher Automotive Group in South Florida are always prepared to help, no matter what your vehicle of choice may be. From oil changes to transmission and engine repairs, we offer an array of maintenance and repair services. Thanks to our trained technicians and mechanics, the job always gets done right. When you visit one of our service centers, our qualified technicians and ASE certified mechanics will inspect, repair, or replace parts of your vehicle to bring it back to peak condition. Redeem our service coupons to receive discounts on different services or even free treatments to your car. We also have fully stocked parts departments where you can order car parts and other accessories, from waterproof floor liners to smartphone holders. If your vehicle needs to be serviced or repaired, schedule a service appointment at one of our locations in South Florida today.